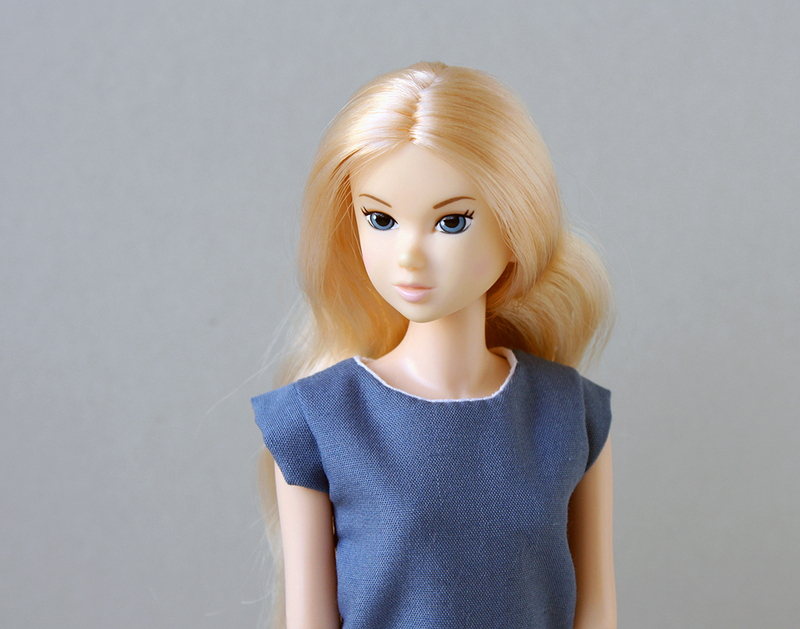 Here is my second Momoko doll. Morgan is Momoko 'Wake-Up 006' by Sekiguchi. She was released in April 2009 and she arrived NFRB to me in November 2009. 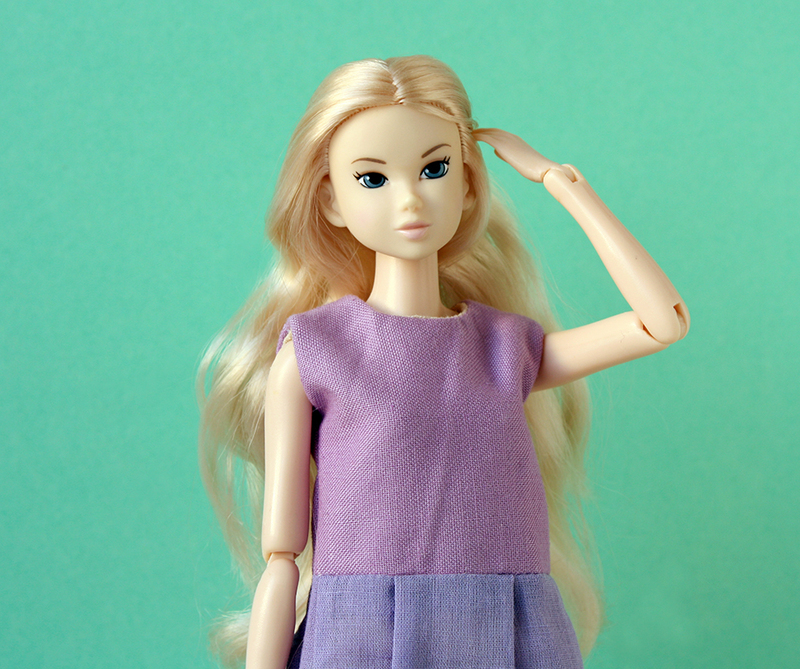 Momoko dolls from the basic series 'Wake-Up' have only simple clothes and no shoes. Morgan wore pale yellow pyjama (in the photo below). She is my pale beauty. 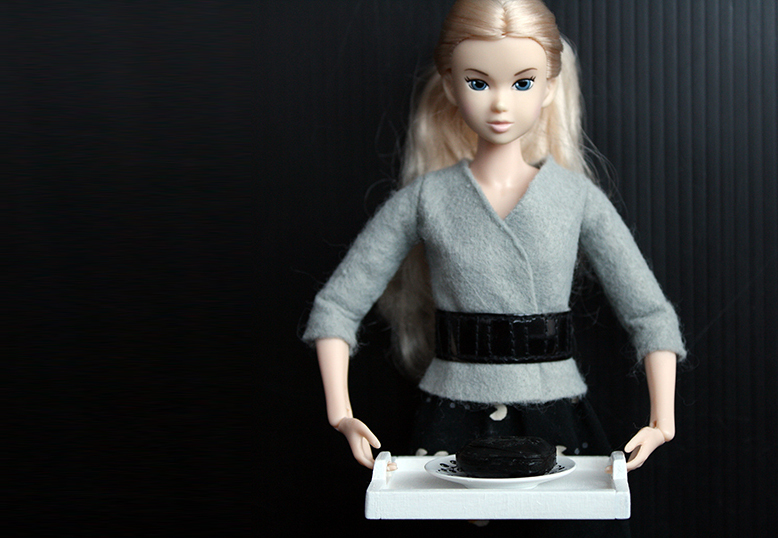 I needed a fair girl in contrast to my dark haired first Momoko. More of my dolls soon. She is beautiful. 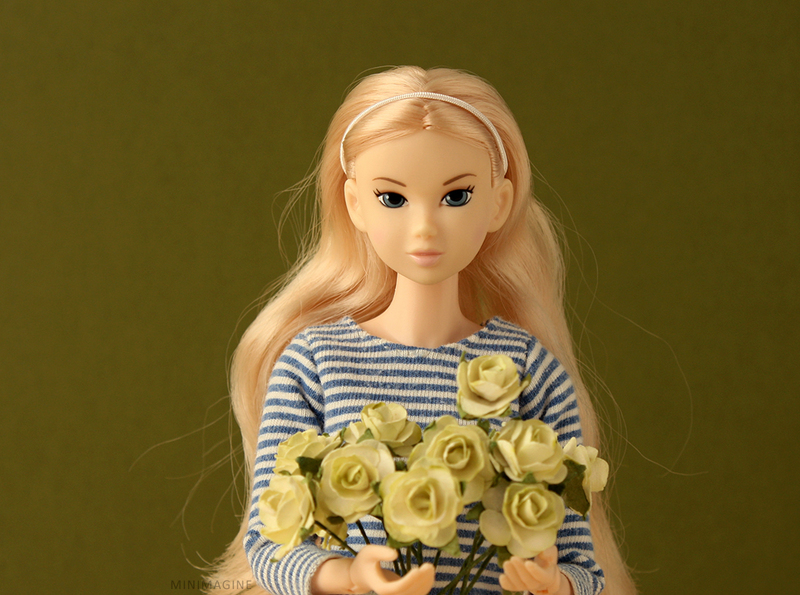 I really love the blonde hair/blue eye combination on Momoko. Her face is just so pretty. I can see why you brought this one home. I actually picked up a Momokodoll Catalogue Magazine recently that shows all the Momokodoll releases so far. I'm looking forward to looking through that one. I think I will end up getting one of these dolls one day but I was also very surprised at how small they are. 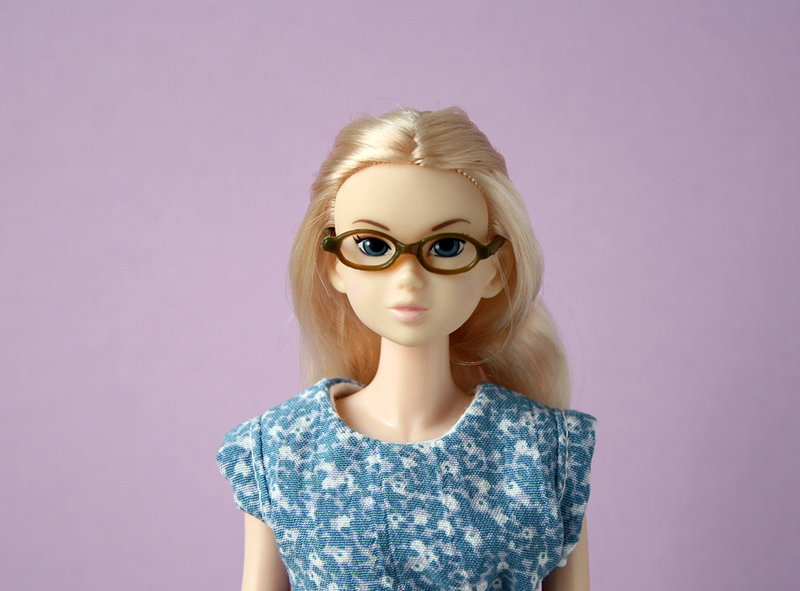 I found a comparison online with an IT ITBE doll, Barbie Basic and Barbie Fashionista. She is so tiny next to these dolls. I still can't decide on hair colour/eye colour I like best yet but this one that Morgan has is definitely the front runner at the moment. I'm in no hurry though. 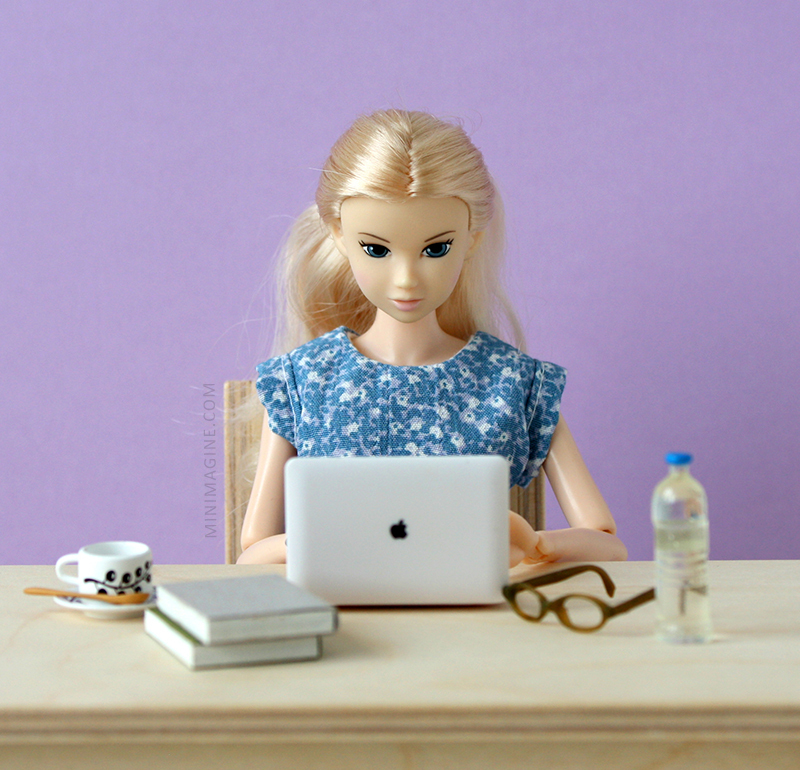 I will probably have to wait until next year to get one of these dolls. Thank you. 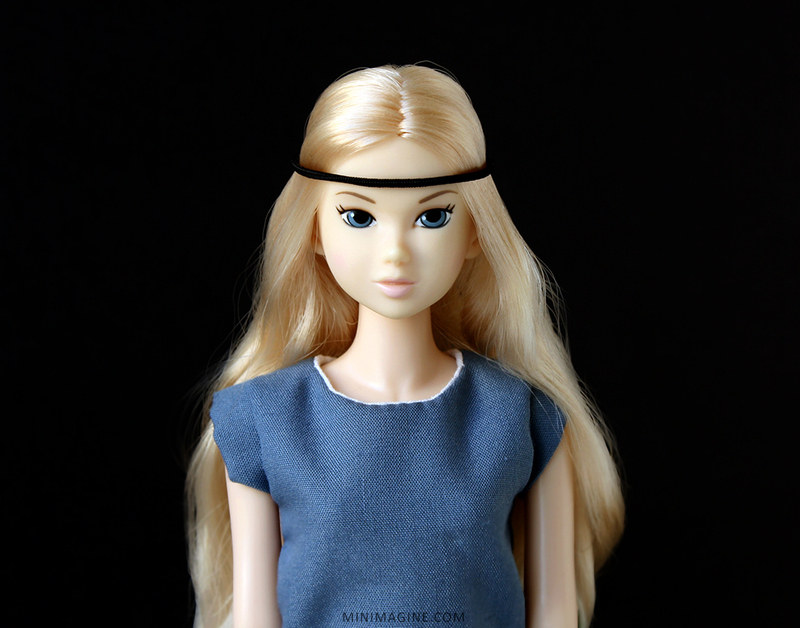 I like pale dolls with light blonde hair, and fair eyes and natural make-up. Momoko are only 27cm/10,5 inch tall so they are tiny indeed. Momoko mają w sobie taką klasę i urok jak mało które lalki. Bardzo się cieszę, że Cię trochę zaraziłam tymi lalkami. W kolejce mam jeszcze kilkanaście momokowych postów.